This year it doesn’t end until March 2nd, so you still have time to go! 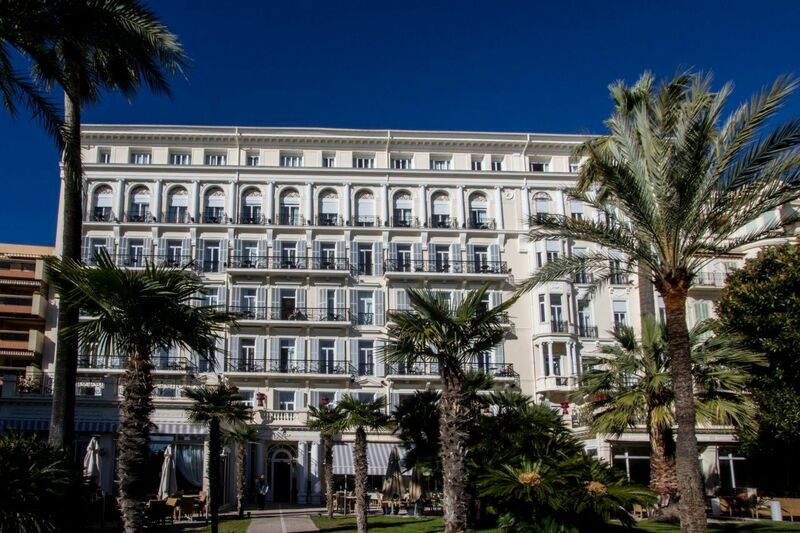 Have you been to Menton? 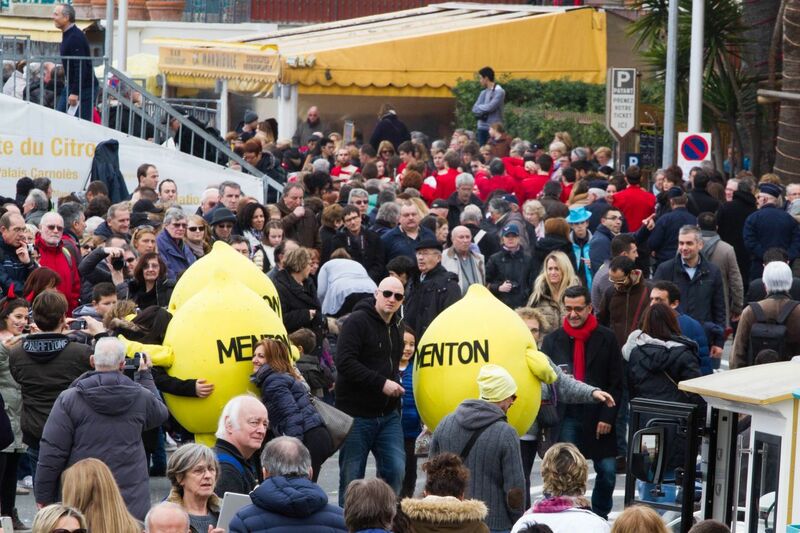 Do you have any tips for visiting the Menton Lemon Festival? 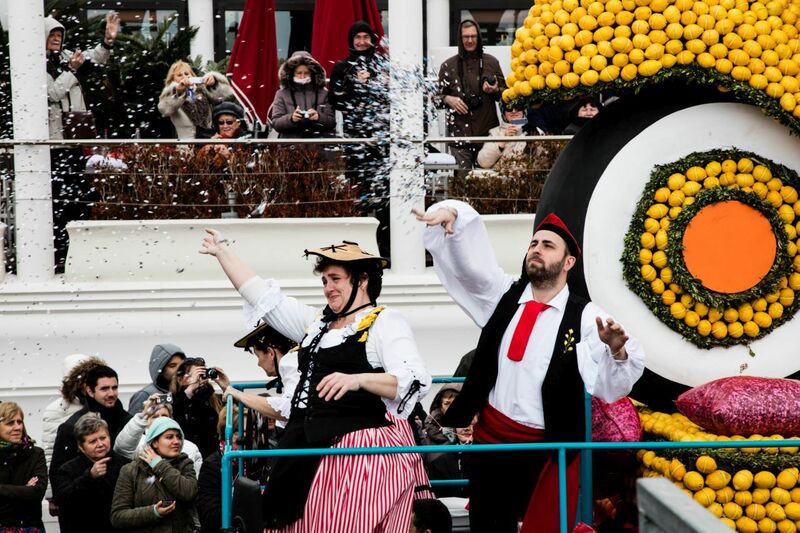 Last weekend we flew down to attend the famous Lemon Festival of Menton, France. The weekend weather in the south of France was such a welcome respite from the bitter and rainy weather we’ve had in Germany the last few months. Our hotel had a balcony facing the beach, and we sat out there each day with our sundowners and cameras just watching the waves roll in. 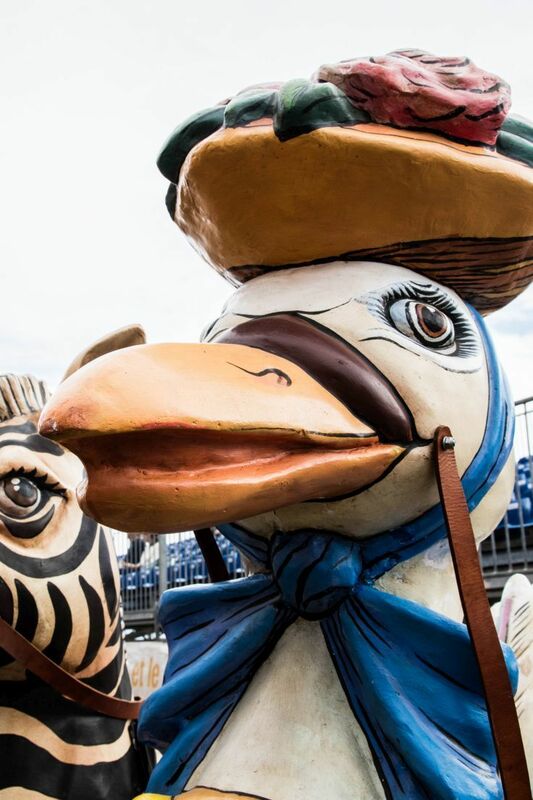 Surprisingly, we even saw them setting up for the big parade and the most amazing floats filled with Menton oranges and lemons built into whimsical characters went right past. We didn’t really have to go out of our room! What a bonus! According to the France Tourism site, the Lemon Festival is one of the most popular tourist events on the French Riviera. The idea of the festival, which brings in more than 230,000 visitors each year, has been around since the late 1920s when a hotelier decided he could capitalize on the coast’s biggest agricultural product. He organized a flower exhibit the first year, and after that it took off. 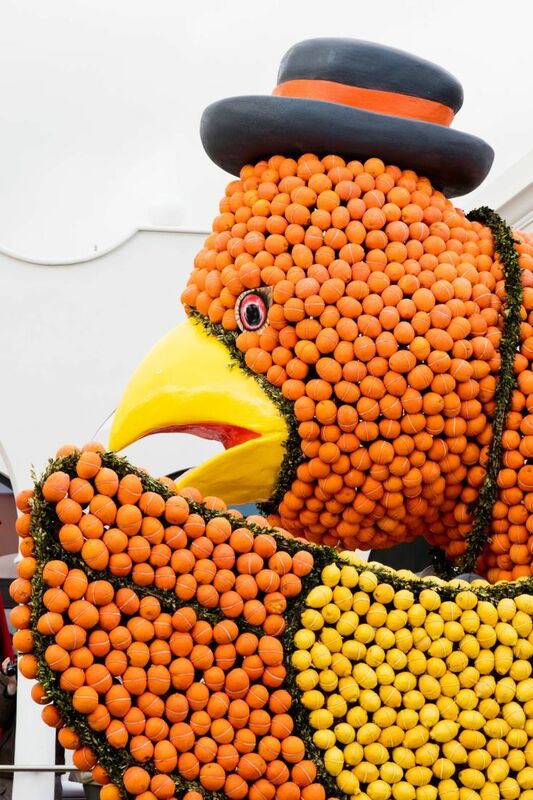 Now, in the 83rd edition, more than 300 people create amazing parade floats and exhibits using over 145 tons of citrus fruit, lemons and oranges. You can see they are attached whole onto the float and are secured with plastic straps. The fruit and their creations last about a month, so the festival runs every February for three weeks. Menton is not only known for the Lemon Festival, it has other charms as well. The town itself sits on a hill overlooking the port and its defensive tower. It’s am old medieval town and fun to explore with steep stairs and picturesque alleyways. And did I mention that our hotel looked out at the Mediterranean Sea? Yes! Who doesn’t need to hear waves crashing up on the shore as you sleep at night? 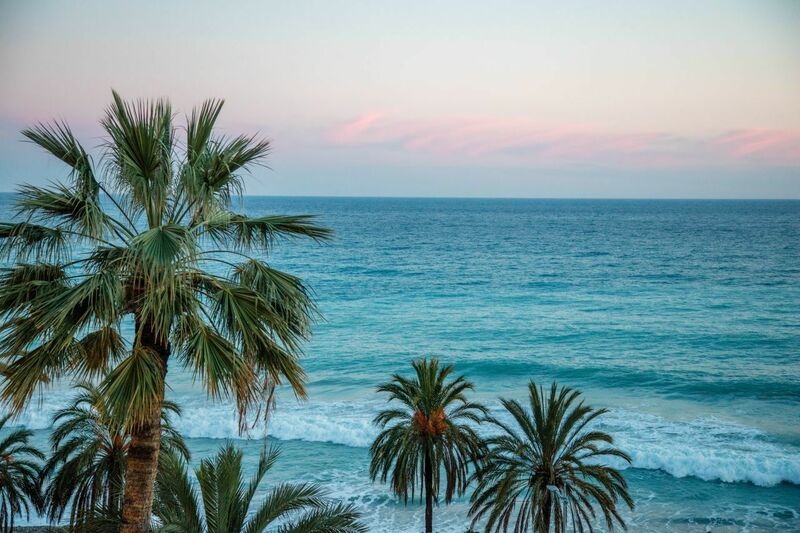 Located smack dab on the coast, with palm trees waving and cafes lining the seaside with not only French but Italian dishes, we were in heaven. 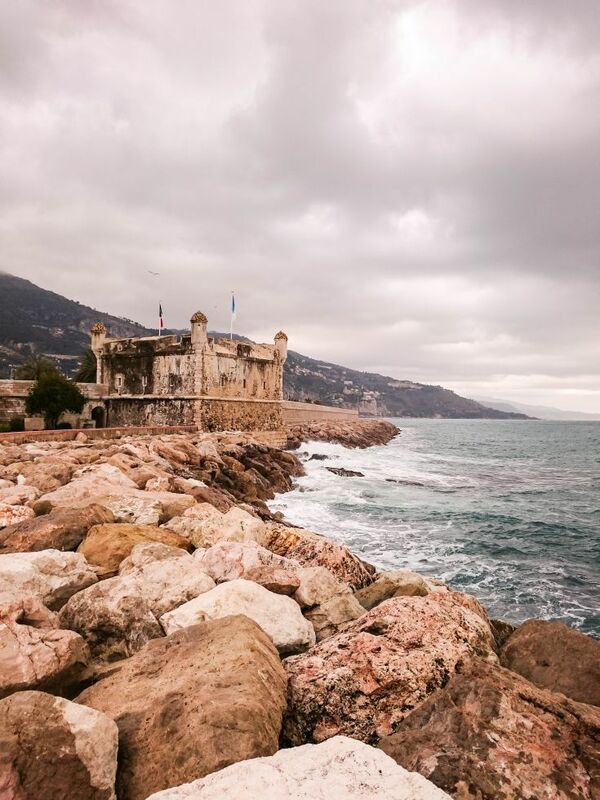 Menton is on the border of Italy, so there is a constant flow back and forth and the majority of the restaurants in town serve spectacular pasta dishes. Since the festival didn’t get into full swing until Sunday, we really just enjoyed the walking around town and enjoying the seaside on the first day. On opening day, there is a huge parade as the whole town, as well as neighboring towns, get into the full swing of things. The parade organizers were out early in the morning, blocking off the road and preparing for the parade. Hours before the parade started, people began scoping out their spots along the circular route and cafes were putting out stands to sell drinks and sandwiches. Restaurants were prepared with a special “formule” or menu of the day so that festival goers would be well-fed before the main event. Most of the ones I saw included a salad, some pasta, and of course a lemon torte for dessert. We opted for the sandwich, indulging in some local ham and cheese. Yum! Finally, the parade began! We already knew the French were masters at putting on a good parade after attending the Fiddler’s Festival in Ribeauvillé (Alsace, of course). 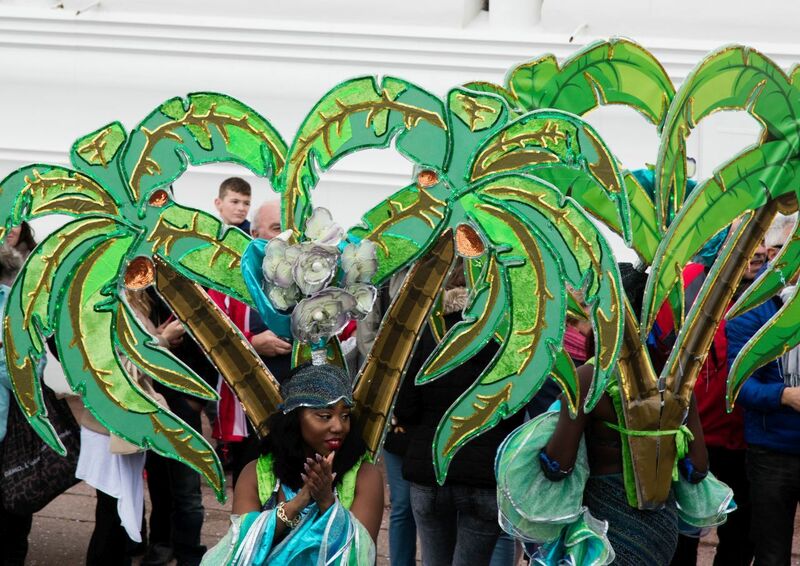 Conveniently coinciding with Carnival season, many of the floats and extras were teeming with scantily clad and very beautiful women. The costumes were amazing, but even though it was warmer than we were used to the wind howled off the Med and those girls had to be cold. They marched by with huge smiles, though. Amazing. It was more than just a parade, too. 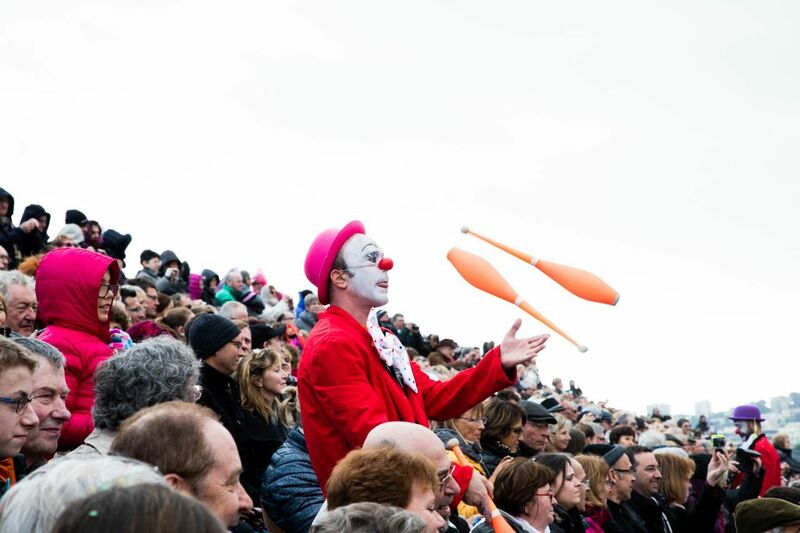 Clowns and jokesters climbed through the stands and teased and entertained the crowd as well. It was a quite a show! Getting there: The closest airport is Nice, which is very small and convenient. We flew in there and it was an easy and super cheap train ride to Menton. We also took the bus into Monaco, which was even cheaper. 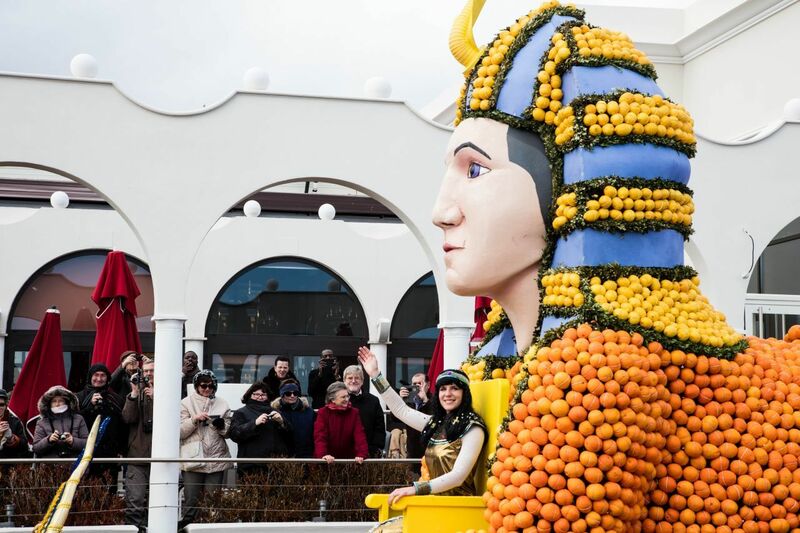 The parade costs and tips: The Menton Lemon Festival website has a whole list of events, but we chose to do the big opening parade. It began at 2:00 in the afternoon. People who stand on the street pay 10 Euros for entry, but you can also order tickets online to sit in the stands which cost 25 Euros per seat. I would recommend the street, but if you do think that sitting in the stands is for you, book early enough to get in stands A or C. B is in front of the Casino and has all kinds of blockages so it’s hard to know where to sit. Eating: There are plenty of restaurants all over the town, but during the festival it’s a good idea to make reservations. Sunday night many hungry people were being turned away because the town was full of visitors. If you don’t want to call, ask your hotel concierge to do it for you or just stop by the restaurant earlier and talk to them in person. Where to stay: I was surprised at the costs of the hotels during the festival. They weren’t as high as I expected, and we stayed at a great place called Le Royal Westminster. Not only was it just a couple hundred feet from both the bus stop and the parade route, but as I may have mentioned, the views were amazing! 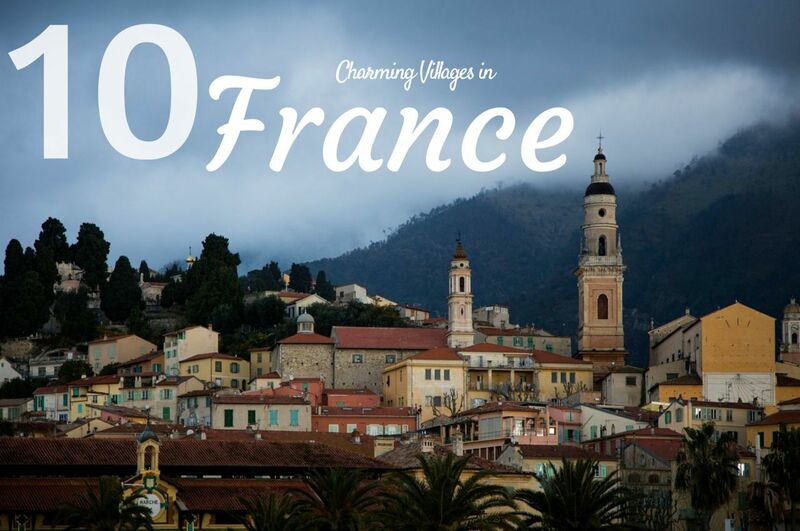 Doesn’t a weekend in the south of France sound amazing? 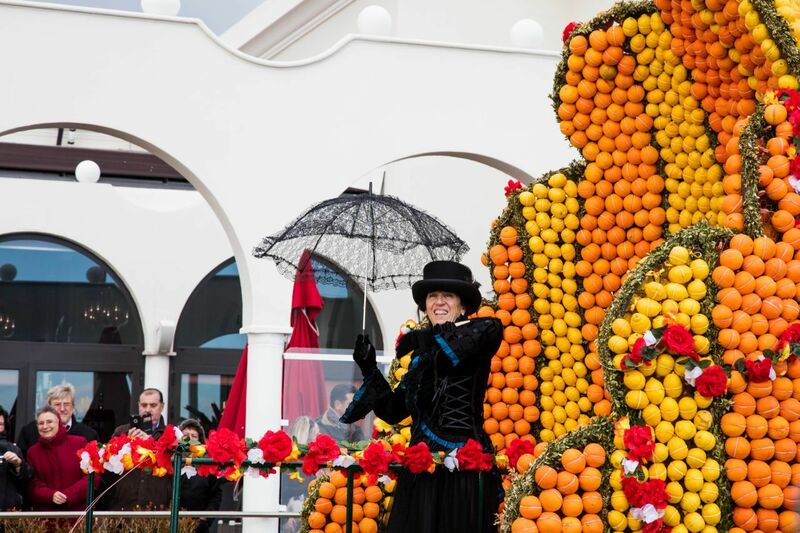 Go to the Menton Lemon Festival and be amazed! great sculptures! I wish I was there! I really like Menton but as I’ve said in my post about it I haven’t visited it during the lemon festival! 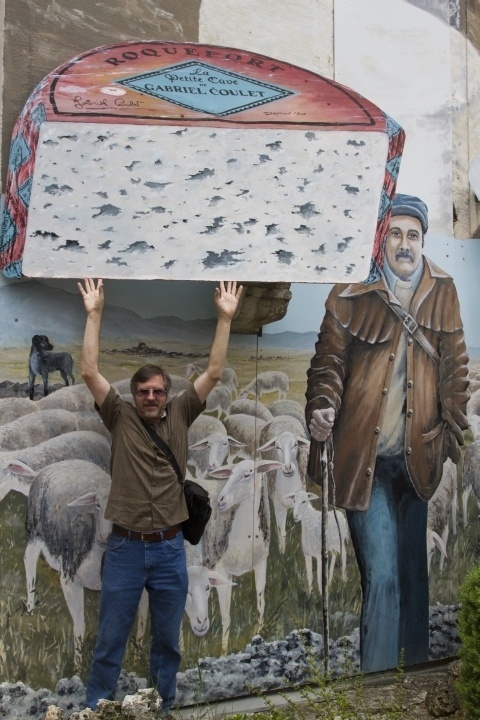 Tanja, You were right, though, the town is absolutely charming! We loved it! This sounds so cool! When I studied in Nice my host lady used to go to Menton and Ventimiglia to get oranges and lemons. Julie, It was cool, in fact cold during the parade, but well worth it! I hope there was lemonade. Or vodka and lemons. And lemon merengue pie. Or mojitos. What do they do with lemons in France anyway? Tom, We had lemon tarts, lemon torte, lemon meringue pie, and my favorite lemon souffle! I threatened to run down the Menton Lemons for a cheek kiss, but Jim restrained me. All fun! My goodness, that first image gave me quite a turn when it popped up! I’ve never heard of this festival but it looks amazing. Great views at your hotel – though I giggled at the name. Anabel, So did we giggle at the name, but it was very comfortable and we loved our balcony. The lemon festival was different and fun! Hung, Exactly…what will they think of next? This looks like enormous fun, but 230,000 visitors each year is a bit off-putting. Having a room with a view would help a lot though – no need to fight the crowds. Lyn, There were crowds, but it seemed very manageable. We loved it. Lemon Festival!?! How did I not know about this. How wonderful! Looks like so much fun. 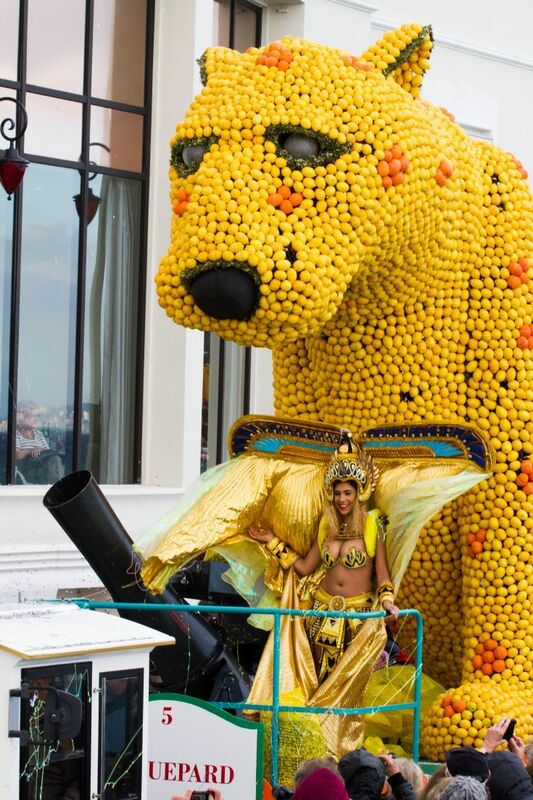 This lemon lover is putting the Lemon Festival in Menton on my must-do list immediately. Sue, You sound like me when I found out…exactly! No scurvy at this festival. Looks like a solid reasons for visiting Menton. I love citrus fruit and would surely love this event. Charles, It was great, a little respite from the cold in northern Europe, but still chilly. That sure looks like a lot of fun. I love being in cities during a festival so maybe one day I will experience this. Some impressive work on the floats as well. Dean, It was something I’d never seen before…very interesting. How FUN!!! I would love to see this! I can tell you! Lots! I have a friend who lives in Menton and I always look forward to seeing her posts on the Lemon Festival. What a treat to see these floats and just to be a part of this festival for you. I would love to visit Menton one of these days and especially go to the Lemon festival. Love that last photo! Mary, When you do bring warm clothes. You should try to make it one year, it’s very impressive. We loved it. Girl, When I go back, I certainly will! Gorgeous photos! I have to make it to this citrus festival one day. Carolyne, You really do. It was something I’ve never experienced before. You were unlucky with the weather Corinne, it isn’t usually that cold. I was at Nice carnival last week in shirt sleeves. I’m glad you enjoyed your time down here but I’m still bummed I was away and we didn’t get to meet. Did you also go into the gardens and look at the static displays? They’re really impressive too. Phoebe, It was really only cold that afternoon and evening of the parade! We still had a great time, though. Jacqui, Menton is such a charming little place. We definitely fell in love with it. 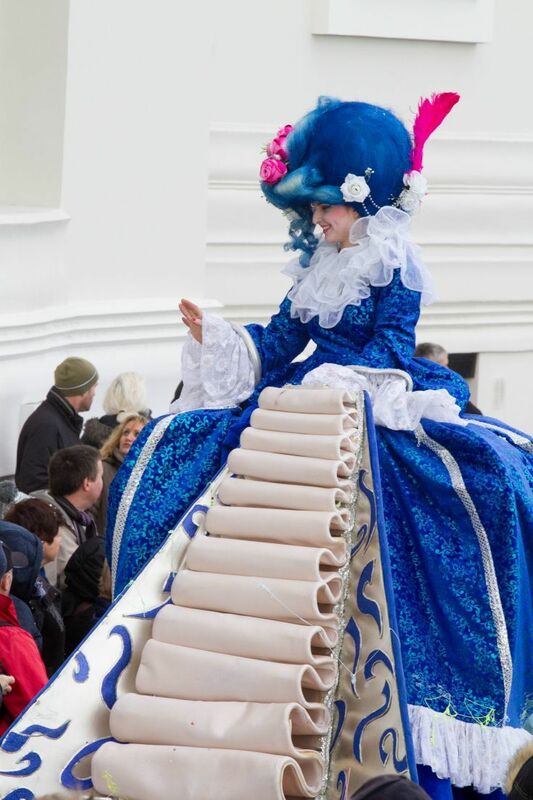 Lovely photos both of the Fête du Citron but also of Menton, one of my favourite towns! Living half and half in England and Villefranche sur Mer, I am lucky enough to have been to the Lemon Festival for the past five years and it never ceases to amuse, amaze and entertain me! 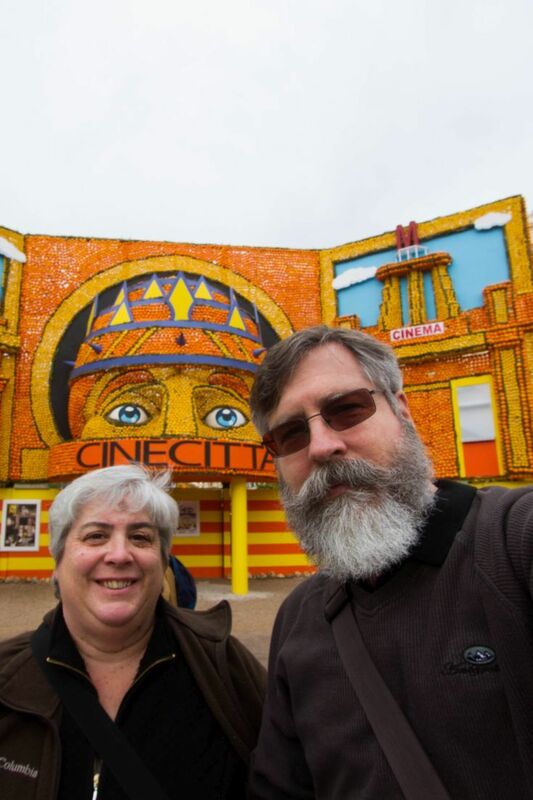 This year it prompted me to find out what Cinecittá is really all about! Lisa, Yes, I found it to be an interesting choice for a theme. Christine, I didn’t really smell the citrus, but I ate lots of lemon pastries! How fun! I would love to attend the Lemon Festival one day. 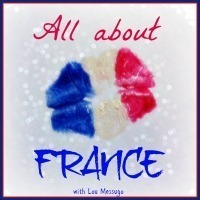 Thanks for sharing your lovely photos. Marina, It was fun! I love going to quirky festivals. Julie, It took me a few years to get there as well. So glad I finally did. Hope you get there soon!